Leonardo DiCaprio recently brought his climate change activism to the White House as part of the South by South Lawn festival. As part of the festival, DiCaprio, President Obama, and atmospheric scientist Dr. Katharine Hayhoe spoke on a panel discussing climate change and DiCaprio’s new documentary, Before the Flood. DiCaprio filmed much of the documentary in the Canadian Arctic, in locations that are seeing drastic changes to temperature and sea level. DiCaprio let it slip that he had signed up for Elon Musk’s Mars program after Dr. Hayhoe dismissed the idea. The idea of space travel is does seem crazy, we’d have to agree with Dr. Hayhoe about that. But perhaps we haven’t spent enough time in the Arctic circle, seeing ice slowly melt away. 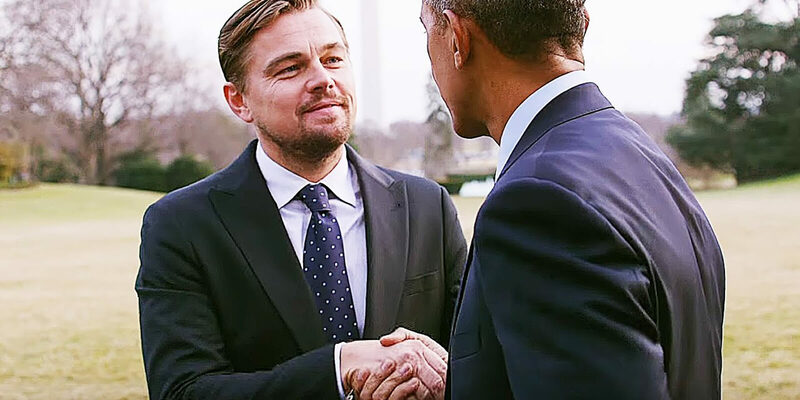 Regardless, Leo is doing very admirable work in his effort to combat climate change and that he graced the same stage as President Obama is pretty cool. We’d just prefer if he stayed on this planet and kept making movies.